Remains that are believed to belong to U.S. soldiers that perished in the Mexican-American war nearly 170 years ago have been returned home. The remains have been shipped to a military mortuary in Delaware in an effort to determine whether they belong to militia members of the Tennessee regiment known as “The Bloody First.” The fallen heroes were unloaded by the men that proudly guard the Tombs of the unknowns in Arlington National cemetery, the 3rd Infantry “Old Guard” unit. 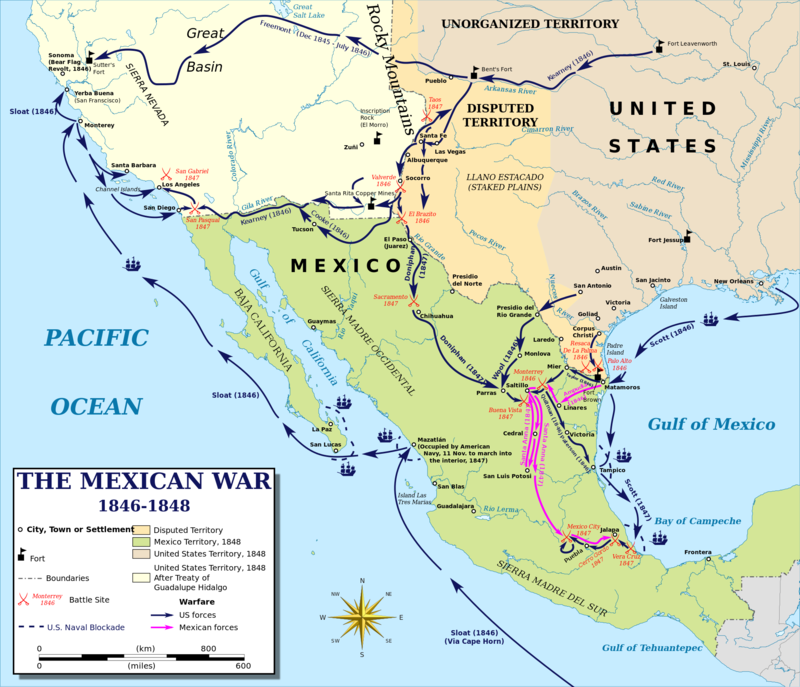 Map of events in the Mexican-American war. Over 160 Americans were killed or reported missing after the bloody battle. Some of the soldiers killed were reportedly children, freshly graduated from West Point academy. The analysis is expected to take several months. Berryman believes that bone analysis, which will determine what was in the water the men drank as they grew up, will help the researchers determine which states the fallen soldiers were from. At this time the researchers believe the scattered remains belong to approximatley 11 to 13 men.